Do you want to setup an eCommerce site with a limited budget? Here is a collection of our top favorite eCommerce themes with responsive designs and awesome features. Among +3 millions of free WordPress eCommerce themes, pick up a good one is really confusing. These Free WP eCommerce themes will let you showcase your products by following the best attractive ways and all of them are responsive. Hope you’ll find this collection of Free WordPress eCommerce Themes useful but if you’re interested in premium showcase instead of free ones, you can refer to this list of Premium eCommerce Themes. Fruitful – WP eCommerce theme freeWith simple, clean and modern front-end design, Fruitful from Fruitful Code is the first choice in my collection of free eCommerce WordPress themes. 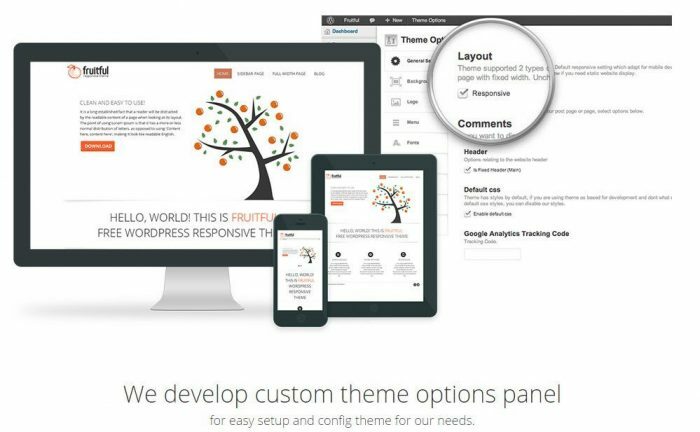 Fruitful comes with powerful options panel that makes it easy for users to customize and control their site. This eCommerce free theme has awesome features such as two layouts, two jQuery sliders, custom background color and images, Google fonts, custom CSS, social icons. Fruitful is compatible with WPML, Contact Form 7, WooCommerce. You can also feel free translate the theme into Russian, German, Spanish, French, Vietnamese. Well coded is a plus point for the Make theme. This free eCommerce WP template is wonderful for the people who has no idea about code. The Make theme is suitable for blog, portfolio and general business sites, especially corporate, agency, eCommerce. The theme is built with the latest Bootstrap. 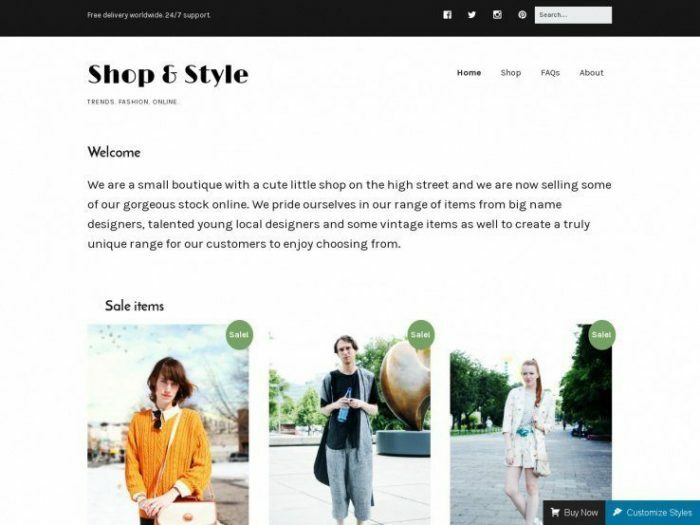 You can build your store easily by intuitive drag & drop editor, which you can find in premium themes, allows you to change elements on the page quickly. The layouts, colors, styling also can be changed directly from the backend. The free theme Make is retina – ready. 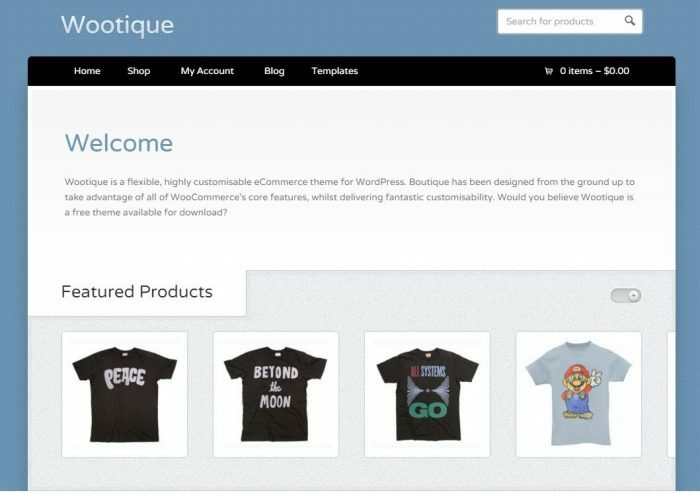 As its name, Wootique by WooThemes is recommended for boutique style store. This theme focus on product showcase. That’s why the free WP eCommerce theme comes with a clean and customizable design, nice hover effects when browsing through your product catalogs. Wootique is built on the same framework with the company’s premium themes. Therefore, it offers lots of quality customization options consisting of background color, background image, menus, and the footer. Moreover, Wootique – free WordPress eCommerce theme has an awesome CSS3/jQuery slider allowing you to show your top products. One of free WordPress eCommerce theme is a product from Kadence Themes – Virtue, is built with HTML5 and CSS3. This is a flexible eCommerce WordPress theme so it can be used for many purposes. Virtue comes with a modern and responsive design. The homepage of the theme goes directly to thumbnails of products so you’ll see clearly what the website is about. Virtue – free WordPress eCommerce theme also helps you to build your site without touching any code. This theme includes a beautiful image slider, a stylish image carousel, and a blogroll with large featured images. That’s great for the people who are looking for an image website. WooCommerce is integrated so you have full tools to start your online store. Another beautiful eCommerce theme is Mystile. The free template comes with a variety of customization options. Unlimited color to match your brand identity, choose from red, orange, yellow, green, blue, indigo, violet, brown, floral, industrial & honey. A plus for Mystile is lightweight and well coded. Mystile is also built on the same paid themes’ framework of WooThemes and integrates with WooCommerce, allows you to use full advantages of all the eCommerce plugin’s features. 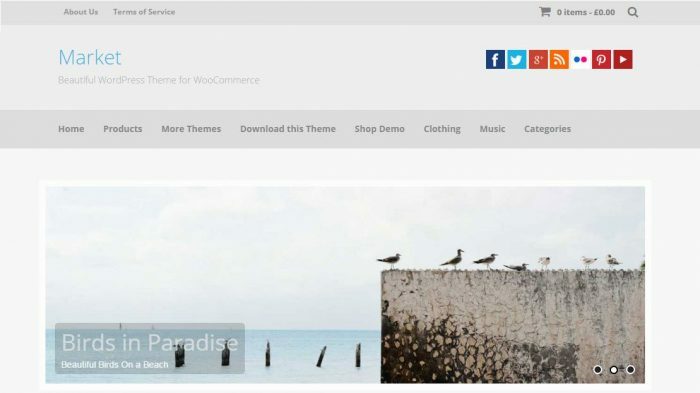 This is also one of free WordPress eCommerce themes from WooThemes. Klasik theme offers a flexible and solid framework to build an exceptional eCommerce website. Built with HTML5 and CSS3 codes which help your website caught up with the latest web standards. This free WordPress eCommerce theme has a minimalist design, help the beginners launch their online store sites in a few minutes. The theme is coded with the highest standards and integrated with WooCommerce. You can sell products directly from your website. Klasik eCommerce WP template includes 9 widget areas, 12 custom widgets. That means you can design many styles to build your store. On the homepage, you have a nice slider, images thumbnails, features, testimonials and more. Vantage is an outstanding product of SiteOrigin provider with thousands of downloads. For a free eCommerce WordPress theme, Vantage is really a serious competitor in this collection. In fact, SiteOrigin developed Vantage and Page Builder in parallel. So the theme is the first theme created with Page Builder. Therefore, Vantage integrates maximum useful bundled widgets that help you get the most out of your Page Builder pages. The first thing we need to mention when using Vantage is an awesome slider, created by a free slider plugin MetaSlider. This lets you customize and manage sliders easily. The eCommerce WordPress theme free also supports WooCommerce, of course, selling products from your own website. This is the last one on our list of free WordPress eCommerce themes. Market has great features such as impressive animations, custom widgets, multiple menu bars, full-width page layout, well-made shop. This theme is quite beautiful with the slider on the top and grid layout below with post thumbnails, which have an eye-catching hover effect. It also designed for eCommerce stores with WooCommerce compatible. Market lets you add two separate menus to the header area as well as adding the latest posts to the sidebar or adding stylish product gallery and product pages to your website. This collection of free WordPress eCommerce themes is just some outstanding ones in the wide range of this subject. So, if you have experienced with any other free eCommerce themes, feel free let me know. I’d like to add to the list above.